Idina & Josh Groban Are Hitting the Road! 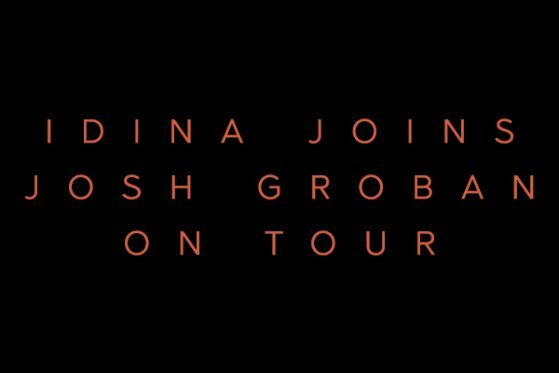 Idina will join Josh Groban on the road this Fall for an arena concert tour! The tour will kick off in Duluth, Georgia on October 18 and conclude at New York’s iconic Madison Square Garden on November 18. Tickets will go on sale to the general public on Friday, March 16. Pre-sales begin Tuesday, March 13 at 10:00AM local time. Visit the Tour Page for additional on-sale information.